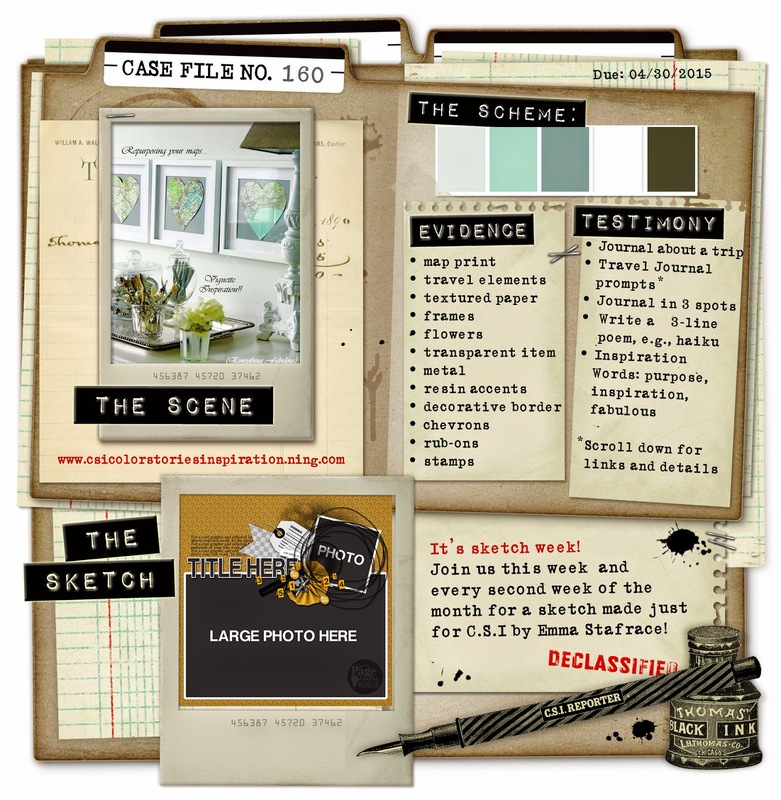 Today I am sharing my layout I created for case file #160 I followed the beautiful sketch designed by the fabulous Emma Stafrace. lots of layering and texture . Romantic B & B's with brekky in bed. all dusty attic chippies can be purchased direct from the web site . and you may win some DA chippies . This is soft, romantic and has a country feel, love the chippies you have used, and a beautiful take on the challenge..
Gosh this is gorgeous......sooo makes me want to find a B & B & chill out!!! In één woord: Geweldig !! 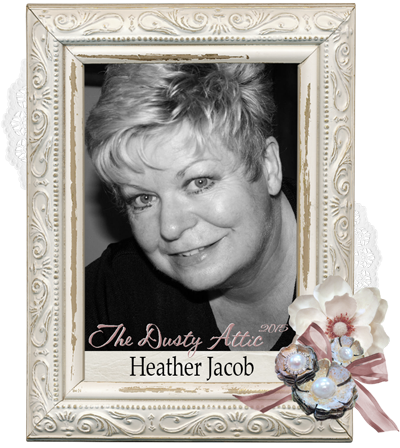 Wow Heather - this is AMAZING! I love it to bits! This is sooooooooo gorgeous! LOVING the colors and those circles!!!!!!! Wow,it's so beautiful! I just adore the colours and the soft look! STUNNING!!!! Another new favourite I think, the paint and texture effects both on the backgroud and the chippies and embellish look fantastic!!!! LOVE!!!!! Such a Gorgeous tag! I love the background and the rain drops, and the nostalgic atmosphere. 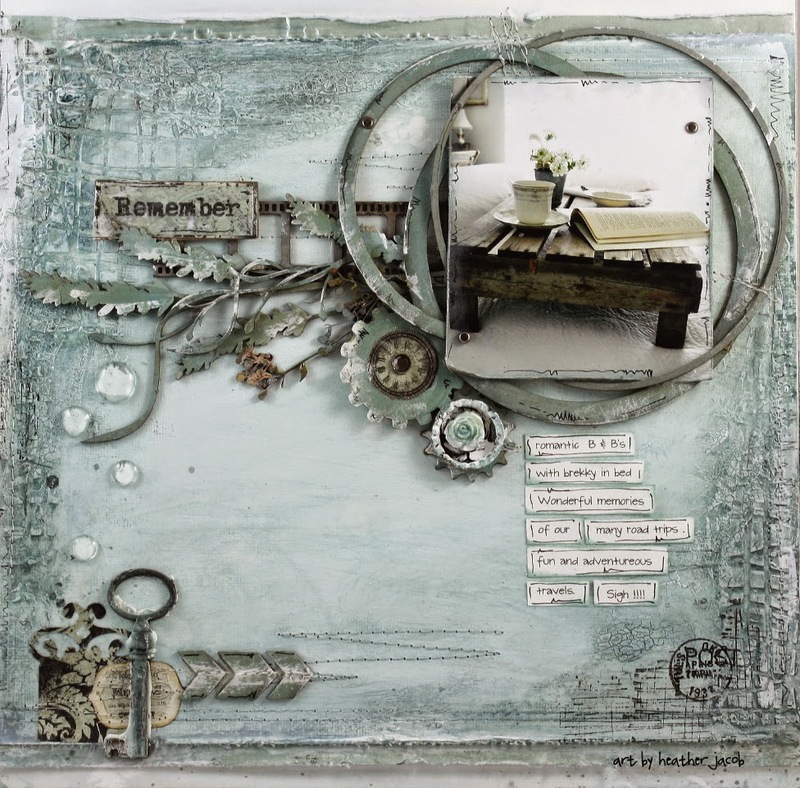 "Remember" on the film strip. Great color but of course fabulous layout! You always know how to make my mouth drop! Stunning page...I love your use of these colours...and the chippies...yumm.